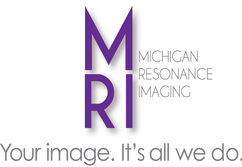 Michigan Resonance Imaging is pleased to offer a complete array of comprehensive MRI services at our new UnaSource Health medical campus location. Currently, we are offering our mobile MRI services four days per week at UnaSource to accommodate your patients’ diagnostic needs. By offering patient-focused care and personal service, Michigan Resonance Imaging provides diagnostic services in Magnetic Resonance Imaging (MRI) from “head to toe” throughout Southeastern Michigan. We are accredited by the American College of Radiology (ACR). All of our radiologists are board certified in diagnostic radiology and all of our technicians are ARRT registered. One of Michigan’s most experienced MRI centers, we have been providing quality service since 1991. We have earned our reputation of producing outstanding images and have demonstrated an unmatched commitment to technical innovation and personal service. Daily on-sight, walk-in scheduling, (Monday- Friday 8:00 AM-4:30 PM) is available at the UnaSource Health Medical campus location. Same or next day scheduling is available, provided insurance precertification is available at time of scheduling. Convenient web-based physician office PACs access to MRI reports and images.